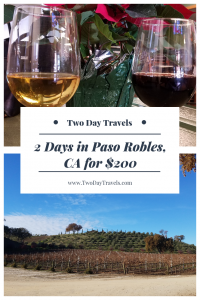 Two Days of Wine Tasting in Paso Robles for Under $200! 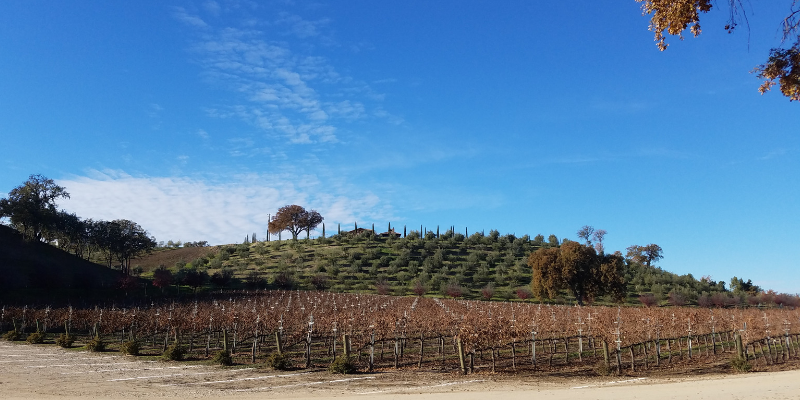 A few hours drive northwest of Los Angeles is a winery-filled wonderland known as Paso Robles. 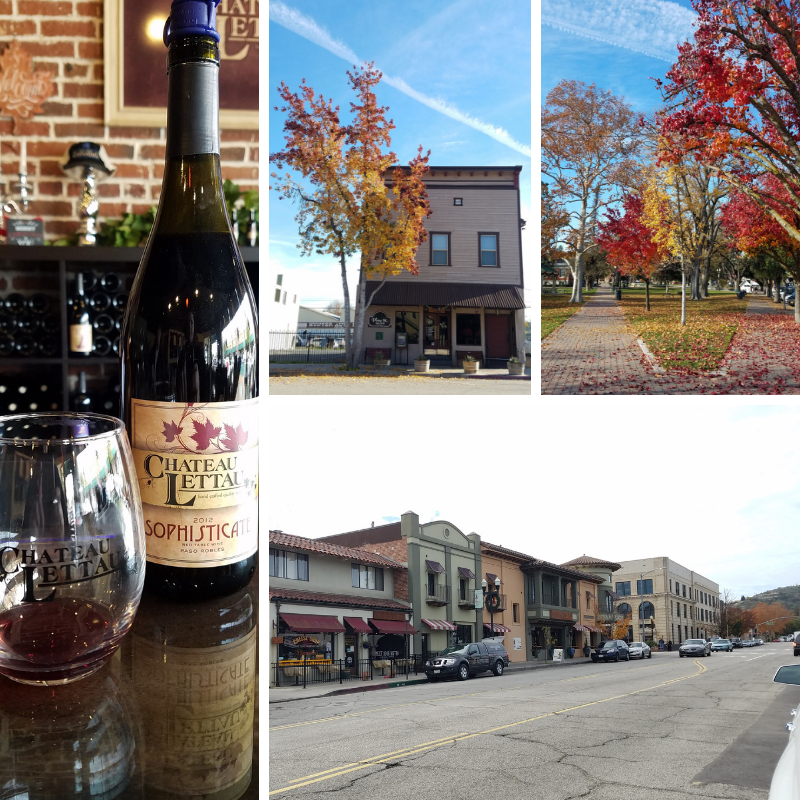 My Mom and I decided to explore the area one weekend and I found it to be a beautiful small town with amazing restaurants, gorgeous fall colors that reminded me of growing up in the Midwest and, of course, some spectacular wine! Just walk down the streets and you will find tasting room after tasting room. This is what we did the first day. 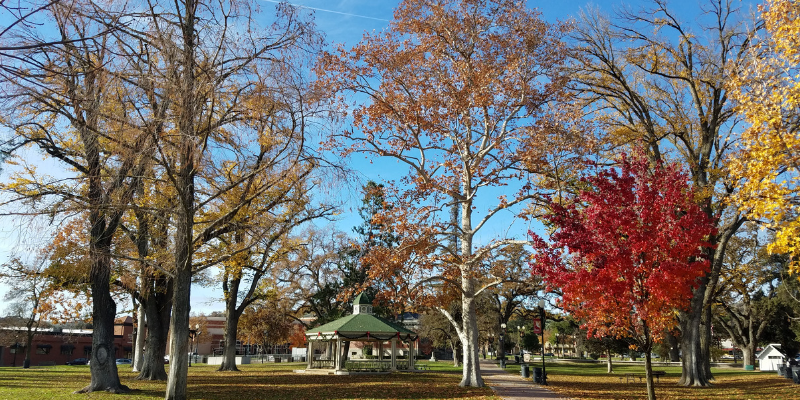 Strolling the main streets around downtown Paso Robles, we were mesmerized by the gorgeous colors of the leaves on the trees. I haven’t experienced a fall like this since I moved to California 15 years ago! Our first wine tasting was at the family-owned boutique winery called Chateau Lettau. With wines named Stilleto, Rockstar, Diva, and Super T, they emphasize locally grown grapes for all their products. Our hotel had given us some promotional cards so we received a free tasting of their wines. 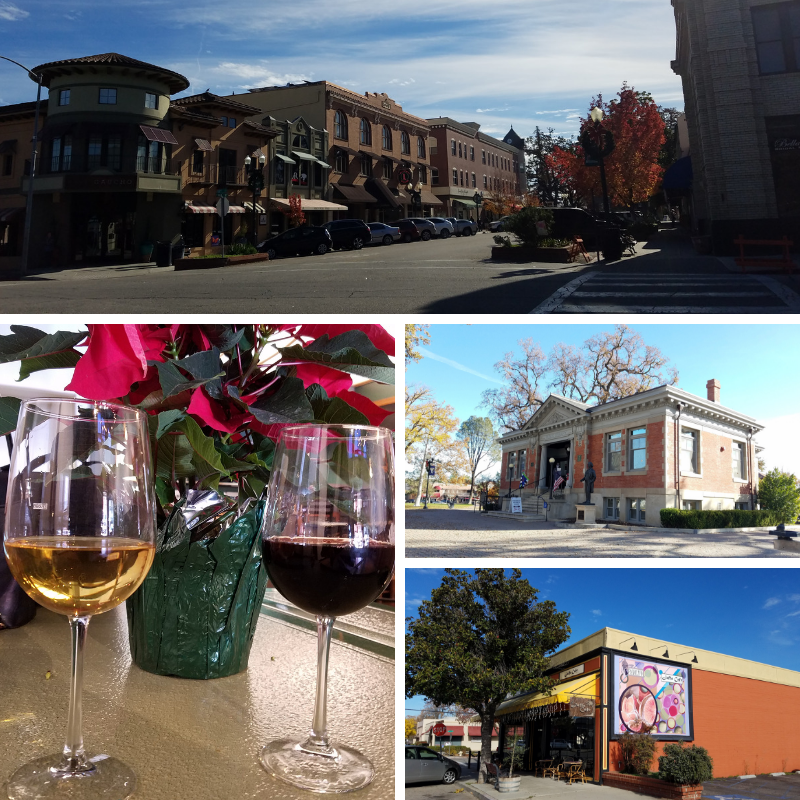 After our first tasting, we continued our walk through the Downtown area, admiring the main street, the art on the sides of buildings, the city park, and even did a little window shopping. Our second stop of the day was at the Arroyo Robles Winery. Their tasting room has a fun vibe with some classic games, including a tabletop foosball. We each enjoyed a glass of wine – one white, one red. 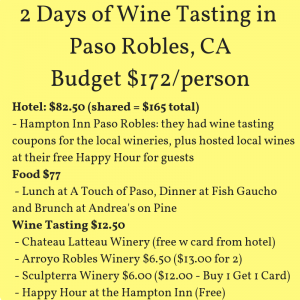 We stayed at the Hampton Inn Paso Robles and one of the benefits, besides the many promotional cards they shared for local wineries, was that they hosted their own Happy Hour every day for guests! 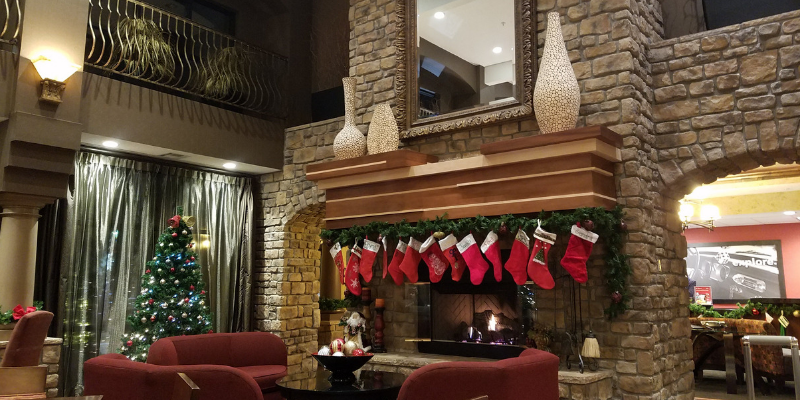 So that evening, we were able to enjoy some local wines right in the lobby of our hotel, which was already festively decorated for the upcoming holiday season! I had a spectacular dinner that night at Fish Gaucho. Their Pescado de Dia was a grilled salmon over heirloom cauliflower succotash and jalepeño mashed potatoes and it was d.e.l.i.c.i.o.u.s.! 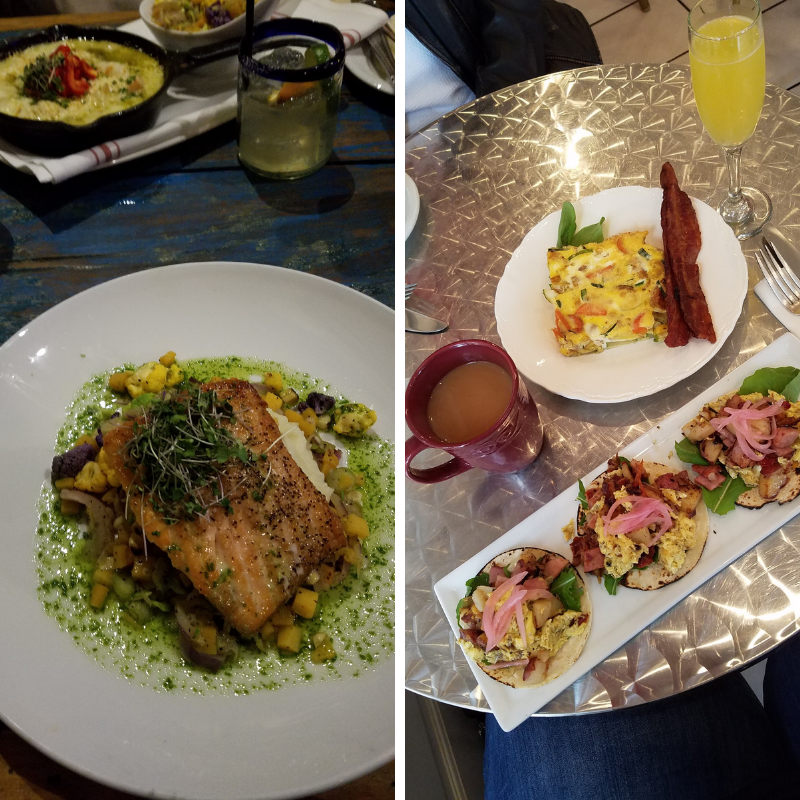 The next morning, we picked Andrea’s on Pine – mostly because it shares a name with my sister – and enjoyed a delightful breakfast that included quiche, breakfast tacos, coffees, and mimosas. 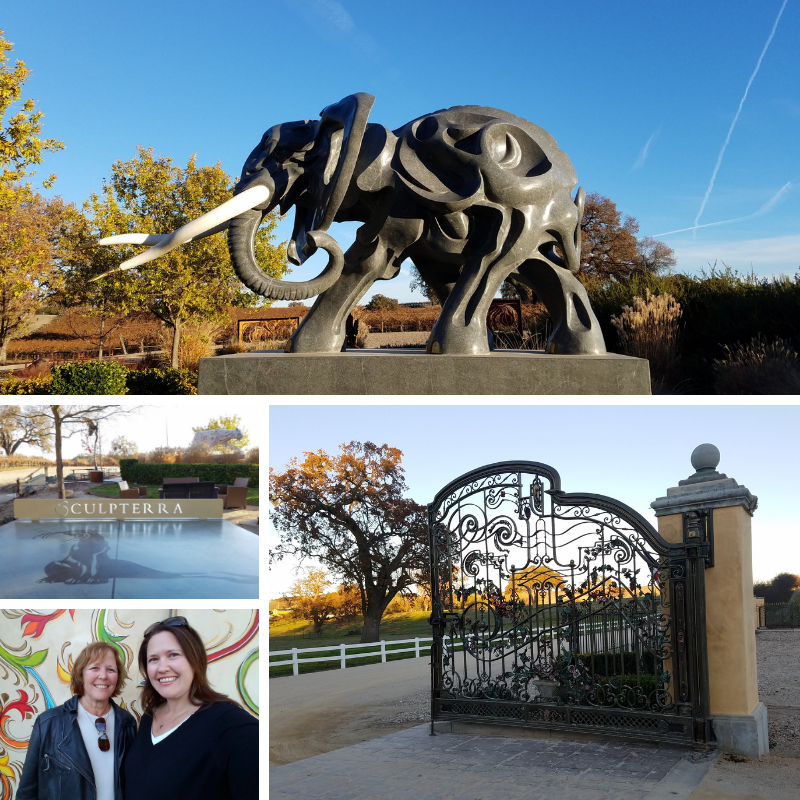 The hotel had given us another promotional coupon and told us we’d be in for a treat at our winery this day – it was a winery and sculpture garden all in one! 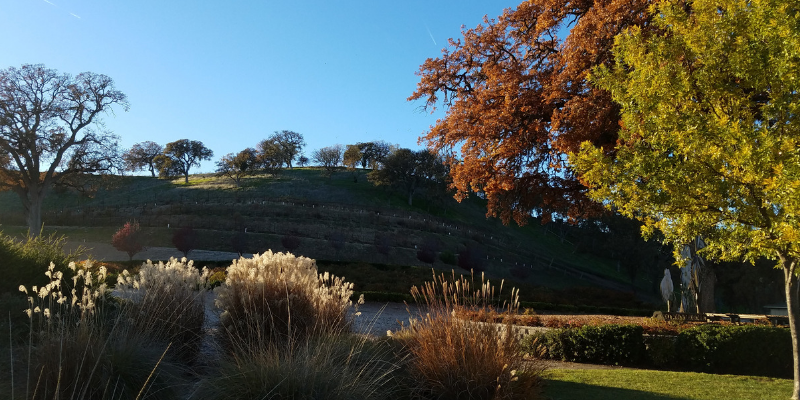 The aptly named Sculpterra Winery is surrounded by sculptures and cultivated greenery, so the minute you park your car you step into a magical world. According to their website, most of the current sculptures were done by John Jagger and since his passing, artist Dale Evers has taken up the steed to continue filling their garden with breathtaking works. 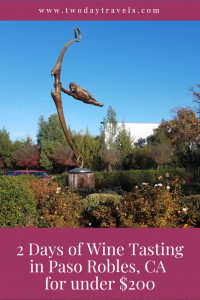 I really enjoyed every minute of tasting their wines and walking through their grounds. Our hotel was a big help in saving money – first by sharing a room with someone I was able to share the cost. But they also had their own, free happy hour for guests and they shared a few of their promotional coupons giving us Free and 2-for-1 Tastings to local wineries. There are so many wineries in the area, we could go back many more times and never try the same one twice. 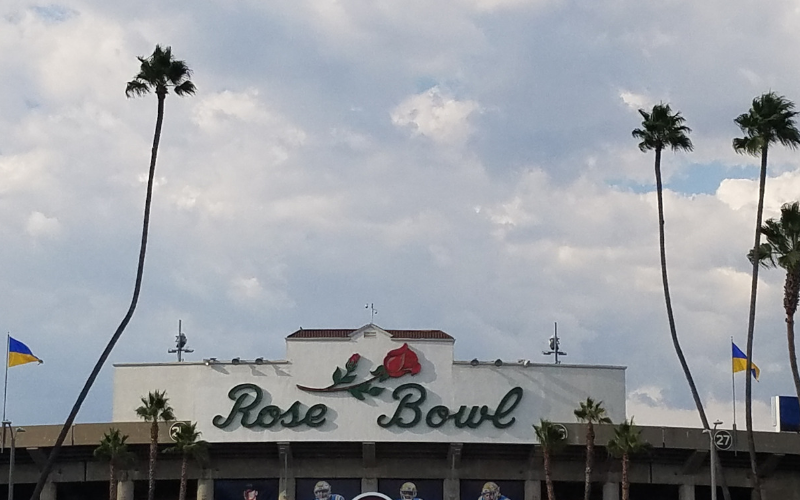 I was really pleased with the ones we did visit and it was a wonderful weekend with my mom! As always, if you liked this post, please consider sharing it on social media. Click on any of the photos below to easily share on Pinterest! All links are for your convenience only, I am not an affiliate of any company and do not make money off recommending them. I just want to make it easy for you to find them if you’re interested. 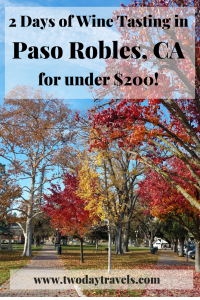 I’m always looking to travel, but don’t always have a lot of time or money, so started exploring ways to take more trips for 2 Days & (mostly) under $200 at a time! Join our mailing list so you always know when new travels are posted! Success! 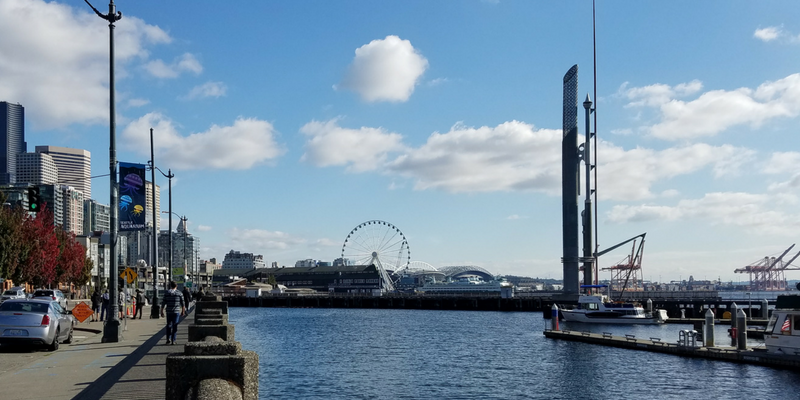 Welcome to the Two Day Travels newsletter! You did find the perfect hotel for a wine weekend. I had no idea there were so many wineries there! I’m glad you and your mom had a great time. It was amazing how many different wineries there are there!! Can’t wait to go back and explore more! Love learning about new places to go wine tasting. Paso Robles and Sculpterra sound funs. Yes, Sculpterra was great fun! 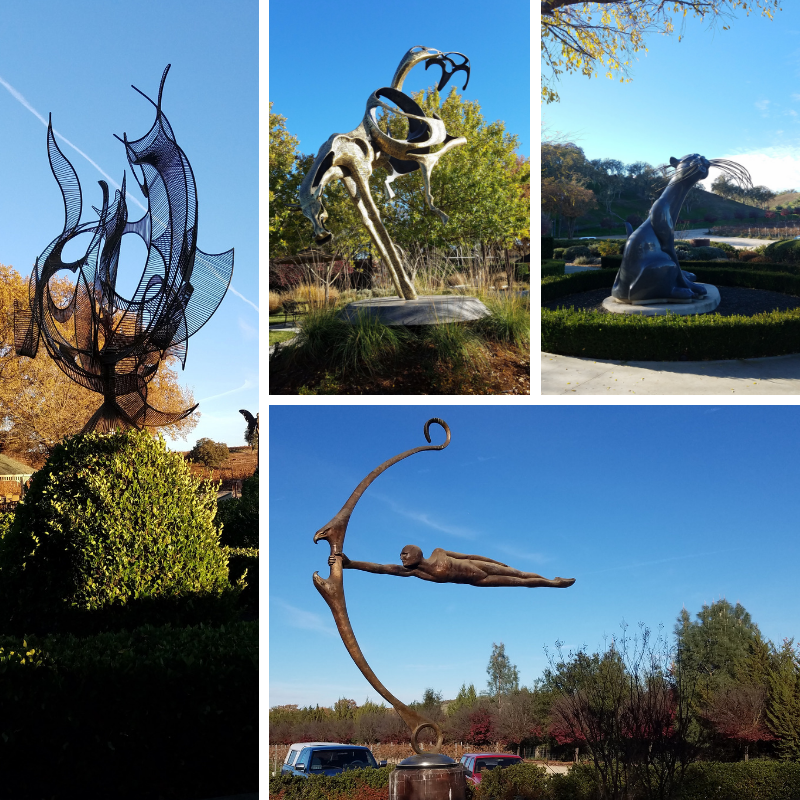 It was interesting to see so much art on the grounds there, and as you can see, we had a beautiful fall day to enjoy it all. Oh, I hope you have a great visit! Chateau Lettau was so good, I really enjoyed everything we tasted there. Two Days at the Brussels Christmas Market for $250! A Two Day Luxembourg Holiday for $200! 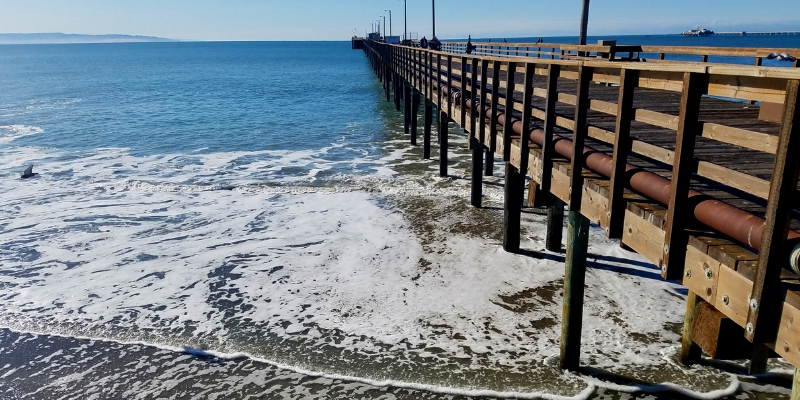 Join the Two Day Travel community! Join our mailing list to receive the latest news and updates from our team. 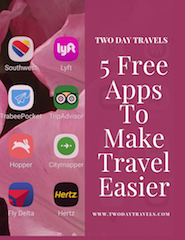 As an added bonus, receive a mini-ebook detailing 5 FREE TRAVEL APPS to help you plan your own Two Day Travels adventure! Success! Welcome to the Two Day Travels community!